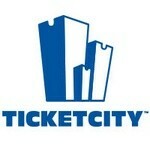 TicketCity specializes in selling tickets for virtually any sporting event and music concerts. They have been in business since 1990 and have been accredited with the Better Business Bureau since 1996. New customers will feel at peace working within this marketplace to buy and sell tickets. We were especially impressed with the company's transparency. The company has been featured on popular programs such as CBS Sports. If you would like to learn more about this company before doing business with them, we recommend looking up their timeline, which tracks the company's growth since it began. We found over 6,000 five-star reviews, praising the business for finding the best seats to live events at the best prices. To buy or sell tickets with TicketCity, you must create a login to their website. Then, you can click on the "Buy Tickets" or "Sell Tickets" icons, both of which walk you through the process step-by-step. You can contact them via live chat, email customer service directly, or call their toll-free number. Sellers must first submit an application. If approved, Ticket City connects a seller to the appropriate buyers who will evaluate the ticket inventory and then possibly make an offer. A vendor must guarantee they have the tickets they are trying to sell. Learning about this application process established Ticket City's credibility with us. We appreciate how carefully they screen their potential sellers. Overall, we were very impressed with TicketCity. They offer something for everyone and even take the time to give back to the community. As companies go, they are top-notch. The website can be a bit overwhelming, but we overlooked this issue considering how happy they make their customers. We highly recommend working with TicketCity and give them our highest rating. Ticket Distributors is an online marketplace for events. We did not find them registered with the Better Business Bureau. However, the website is very informative and lists in detail the responsibilities of buyers and sellers who use their site. When we did a local search for events near us, we were given a list of smaller venues as well as more well-known ones. We appreciated seeing small businesses listed as associates. Regarding customer service, you can contact them via email, phone, or live chat. However, we felt their policies were geared toward making sure the company wasn't accountable for any problem with a deal. For example, the site repeatedly lists what they are not responsible for, rather than how they can help. We couldn't find any information about the company's history. Moreover, we found mostly negative reviews on other sites, listing high service fees. The main saving grace for this company is its transparency. They do a good job of being straightforward with their policies. Again, because we recognized small businesses using this site, we feel that there must be some legitimacy to this online marketplace. We recommend that you check to see if any local businesses you trust are listed as associates, to help you determine if you want to use Ticket Distributors as a market ticket broker. Overall, Ticket Distributors is upfront, with an informative, organized website. However, with a less-than-stellar track record for customer satisfaction and fees, they have room for improvement. We hope to see positive changes in the future, especially with respect to service fees and customer support. Ticket Network is part of the Tickets Software LLC business, which is an extensive network of sellers and buyers. They have been in business since 2002. While Ticket Network itself is not accredited with the Better Business Bureau, their parent company did have an "A" rating at the time of our review. Regarding customer service, the site lists several reviews new customers can read, most of which praise the company for excellent and speedy service. You can sign up for email notifications of special deals and discounts. For questions, you can contact them via phone, mail, or email. To find contact information, click on the "Help Center" link. Clicking on "Cities" takes you to a map, where you can click on any state in the continental United States and find out what's happening and when. We recommend clicking on the "Deals" page to find out the latest in special prices and offers. At the time of this review, we found an offer for the TicketMobile Club. Signing up for this club allows buyers to receive texts with coupons and discounts, last minute deals, and upcoming events. To sign up, just enter your phone number and zip code. You can unsubscribe at any time by replying, "STOP". Unfortunately, we were left with pretty serious concerns about Ticket Network. Although we weren't able to find any reviews on the BBB site for this business, there is an extensive history of customer service problems on the listing for their holding company, Ticket Software LLC. Complaints range from poor communication to cancelled tickets less than 24 hours before an event. And, we were also very unhappy to see that there was an action taken against Ticket Network by the Federal Trade Commission back in 2014, for misleading sales and marketing practices. We definitely feel that customers looking for event tickets will be in better hands with one of the more highly-ranked businesses in our review.